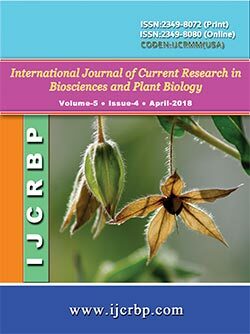 Experiments were conducted on 1-year Phoebe chekiangensis seedlings treated by different concentration (0, 300, 600, 900, 1200 mg/L) of Pb (NO3)2. Sixty days later, determination was implemented on seedling growth, physiological and photosynthetic parameters. The results showed that the lower concentration treated could promote the growth of the seedlings. But with the increase of concentration of lead, P. chekiangensis seedling height increment, ground diameter growth, whole biomass, total root surface area, root volume, total root length and root activity decreased, while root-shoot ratio present a rising trend. 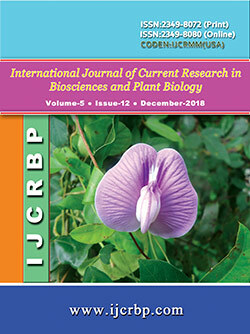 With the increase of concentration of Pb(NO3)2 solution, the membrane permeability and MDA content of P. chekiangensis seedlings showed a trend of rise after the first reduce; the protein content and chlorophyll content presented a trend of decrease after the first increase; while the POD, SOD and CAT activity increased firstly but decreased afterwards; the net photosynthetic rate, stomatal conductance, intercellular CO2 concentration, transpiration rate were all increase at first then decrease, which indicated that protection enzyme activity and membrane was damaged thus the growth of P. chekiangensis seedlings was inhibited.